Heligan Wild – a Year of Nature in the Lost Gardens. Author Colin Howlett. Victor Gollancz 1999 pp 126, Illustrated . This review was written on March 3rd 2013 and updated on September 20th 2014. 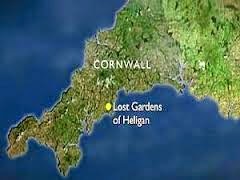 The lost gardens of Heligan were discovered by Tim Smith in 1975 when he was wandering about Cornwall as an archaeology student. They were restored by him and John Nelson over the next twenty five years. The area was a total wilderness at the time of his discovery. The author of the book, Colin Howlett, joined them later and he became a remarkable jack-of-all- trades in organising and running the restored gardens. The estate now measures 200 acres. There is immense detail on the internet for the potential visitor about the gardens, their history and attractions. The records provide an exhaustive list of the wild life which emerged there as the gardens were developed or which are now being attracted to the restored area. These include wild flowers, shrubs, ferns, water plants and trees, and a bewildering list of fauna including insects, amphibians, fish, butterflies, mammals, birds, shrews, voles and snakes! etc. It is a sad reminder to us when we witness the loss of bees, butterflies and other insects which have disappeared from our city gardens and the inevitable effects of these losses to birds and other fauna. There is also the loss of or threat to our trees such as the elm, chestnut and ash. It is sad in particular because these changes are a reminder of a more serious threat to Nature and to humanity. He writes a note of about half to one and a half pages for every week of the year and these notes are descriptive of various aspects of the gardens and wild life during the twelve months. Heligan Wild makes an ideal bedside book. The paragraphs for each week should be consulted every Saturday or Sunday morning to remind the reader what is likely or should be happening in his or her garden. 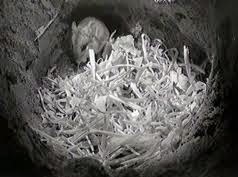 I have now left the book on the locker beside Louise’s bed and I have suggested that she should adopt the weekly chore of reading the appropriate section of the book and comparing its finding with the changes of the fauna and flora and the weather as we experience in Ireland. Clearly Cornwall, which is south of the Wexford coast in Ireland and which is heavily bathed in the Atlantic, may have a different climate and natural ambience than that of the more northerly east coast of Ireland in Dublin on the Irish Sea. The Gardens have become a popular place for visitors in the UK and Ireland, and are now well known to visitors from abroad. There was still some remaining wilderness there, at least when this book was published in 1999. At that time the gardens extended to at least one hundred acres and much progress must have taken place during the last 15 years since the book was published. It is enhanced with striking illustrations by Mally Francis of the flora and Angus Hudson of the fauna of the area. It is well suited beside one’s bed or to be visible and enjoyed by visitors to one’s home. Apart form the wealth of the flora and fauna which are such a source of interest in this most south-westerly extension of England’s mainland, Heligan Lost, through its weather station, has become an important source of information about the weather conditions in that part of western Europe. The above paragraphs were written by me in April 2013 and since than I found its predecessor published first in 1997 and written by Tim Smit and entitled The Lost Gardens of Heligan. It is a book of 285 pages, larger than the first book I reviewed above. This copy must have been acquired by me some years earlier and, as one might expect, it was only one of many books acquired and never read. It opens with an introduction and is followed by 16 chapters and a postscript. In these chapters Smit describes the development and content of each section of the Garden and it is handsomely illustrated by photographs and maps. It is an informative and detailed account of the widest aspects of gardening and of country development and will remain a historic source of information about the retrieval of a large wilderness. 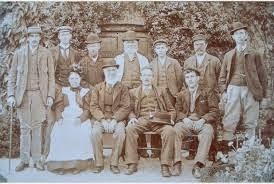 There are numerous photographs, black and white and coloured. Those of the birds are outstanding as are the flowers and flowering shrubs and trees. Chapters include a history of the development over the past 40 years, the description of special gardens such as the Italian garden and of other structures and areas which have been developed. The Heligan estate is described by Smit as being in its prime before the 1914 war. It had been developed in 1901 by its then owner, Jack Tremayne who had a great love of Italy and who was active in developing the site in those early years. The decline of the gardens was rapid and complete after the 2nd World War and is described in Chapter 10 but the remarkable change which has taken place in recent years is described in Chapter 11. 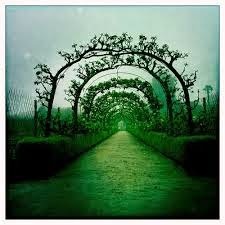 The other Chapters deal with various aspects which include flower gardens, trees and shrubs and a huge walled garden used for the production of vegetables and other flora. 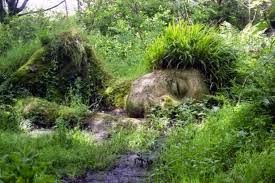 Like the first book reviewed by me, The Lost Gardens of Heligan by Tim Smit should be on the desk or beside the bed of all those interested in the development of our country life and in the joy of having a nice garden. 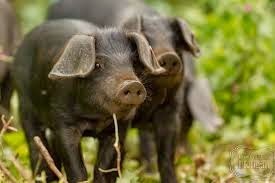 Heligan Piglets - Happy as a pig....well, you know the rest. 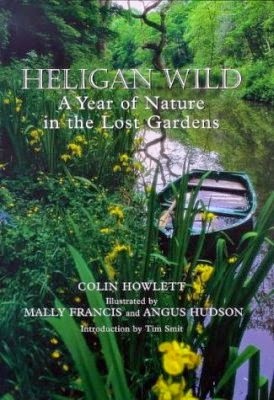 Colin Howlett, in his book Heligan Wild – A Year in Nature in the Lost Gardens writes ‘restoration and reclamation of the outer reaches of the estate will continue for many years to come-----. Our main objective will remain the same as those formulated at the outset of the project: to cause the minimum disturbance to the existing flora and fauna, to re-establish the many lost habitats and, by doing so to attract back an ever-increasing number of species’. What a name, what a guy.